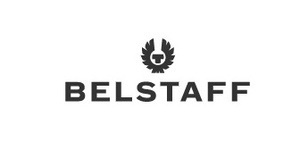 Belstaff is a global luxury lifestyle brand steeped in its unique British heritage and the spirit of adventure. In Belstaff, the fearless explorer and fashion enthusiast alike can discover an easy yet refined luxury for a modern lifestyle influenced by Belstaff&apos;s rich history and storied archives. With an exciting new collection of ready to wear and accessories, including an expanded range of shoes and bags, the Brand is positioned as a British heritage brand centered around an identity of luxury sportswear offering a fashion collection for both women and men. This range also features the core outerwear that Belstaff is renowned for including the Roadmaster and Trialmaster Jackets.